Archives for November 18th, 2017 | Welcome To Your Pet Space! When a kitten is born with Cerebellar Hypoplasia, their cerebellum (the part of their brain which controls motor skills and coordination) is not fully developed. There are a few reasons why this happens: there might have been trauma while the kitten was in the womb, or the pregnant mother could have had Feline Panleukopenia Virus. Regardless of the cause, if a kitten is born with this condition, they will have difficulty with mobility for the rest of their life. The severity of this can vary from the kitten simply having a slight wobble to their walk, to not being able to walk at all. Some cats with Cerebellar Hypoplasia may have head tremors, similar to the symptoms of Parkinson’s Disease in humans. These tremors happen when they are trying to focus all of their energy into walking or looking at something. It might look similar to a seizure, but it is simply a head tremor. 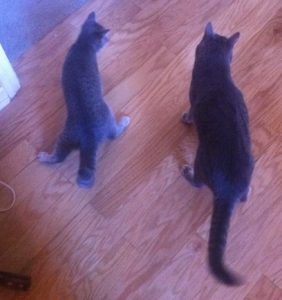 Cats with Cerebellar Hypoplasia often stand a little bit differently than un-affected cats. Cats with this disorder should have a normal life expectancy unless they have other health issues. Cerebellar Hypoplasia is a non-progressive condition, but to get an official diagnosis, your veterinarian would have to perform an MRI and CT scan to rule out other conditions and diseases that look similar to Cerebellar Hypoplasia. It is important to keep in mind that a cat with this condition will be somewhat limited in their physical and learning ability. Many cats with Cerebellar Hypoplasia are not able to jump, but they can be fantastic climbers. It is important for owners to learn how to help their cats become more able to do things on their own, even though they will probably need help from time to time. This condition can impact cats very differently and there are a variety of symptoms that can appear, as well. In mild cases, cats are pretty capable of doing things for themselves. They might waddle and have head tremors, but they can usually get around the house and go about their days without any significant problems. In moderate cases, cats have been told that they resemble “drunken sailors.” It will look like the ground is unsteady, but really their balance isn’t the best and they may walk with their paws in a wide stance to help keep their balance. Cats with moderate Cerebellar Hypoplasia will also have a noticeable head tremors and will probably be a climber rather than a jumper. Yet cats with severe cases are most likely unable to walk. They may stay on their sides, as trying to walk will cause them to fall since they don’t have control over their movements. They may drag themselves along the carpet to get around. To help your cats with moderate to severe symptoms, you can baby proof the house (padding around sharp corners or edges, for instance) or make or purchase a kitty wheelchair to help your cat get around more confidently. 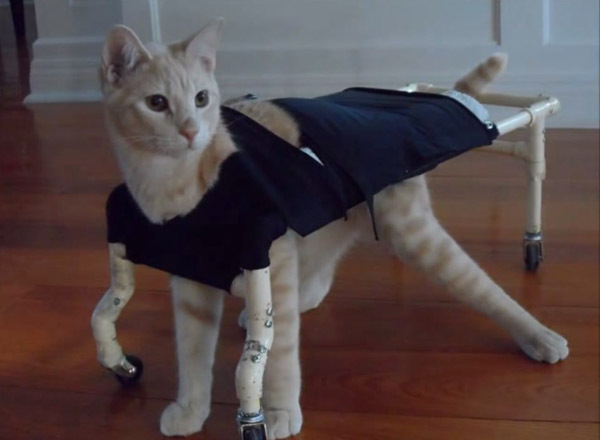 An example of a homemade kitty wheelchair! For cats with this condition, it is best that they have soft padded areas within their height zone so they won’t injure themselves if they happen to fall or get dizzy. 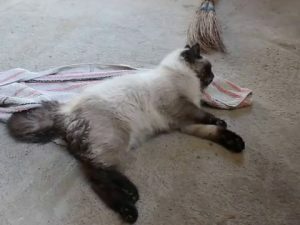 Carpets are going to be these cat’s best friends since it will give them something to cling on to, so do not have your cat de-clawed, and put rugs on your hardwood floors if you’ve adopted a cat with Cerebellar Hypoplasia. If you have stairs in your home, make sure they are also padded, are covered by a carpet, and never let you cat go up or down the stairs by themselves. While your cat is drinking and eating, it will look like they are pecking (due to the head tremors) so food and water might spill, but messes are just a part of life. Know that the litter box will be a challenge for your cat with Cerebellar Hypoplasia, whether their case is mild or severe. To make sure litter isn’t kicked out of the box and that your cat will not fall, get or make a litter box with a low pan entrance with a high cover. You can also place a litter mat in front of the entrance to capture some of the litter from their paws. If you need a little bit of inspiration in your life, and you’re interested in a cat that needs a lot of love, you should consider adopting a cat with Cerebellar Hypoplasia. This is one of the most alarming diseases and disabilities among cats and has been on the rise for years. Diabetes is when your cat cannot produce enough insulin in order to balance their blood sugar and glucose levels. If you don’t have your cat’s diabetes treated, it can lead to weight loss, vomiting, loss of appetite, depression, dehydration, and issues with their motor functions. In more severe scenarios, cats can fall into comas or die. But if treated, diabetic cats can live into their teens with a very good quality of life. In order to manage your cat’s diabetes, you can adjust their diet and add a little bit of commitment, patience, and lots of love. They may need to take medication for the rest of their lives that can be administered or prescribed by your veterinarian. The medication is generally insulin injections that have to be given once to twice a day. 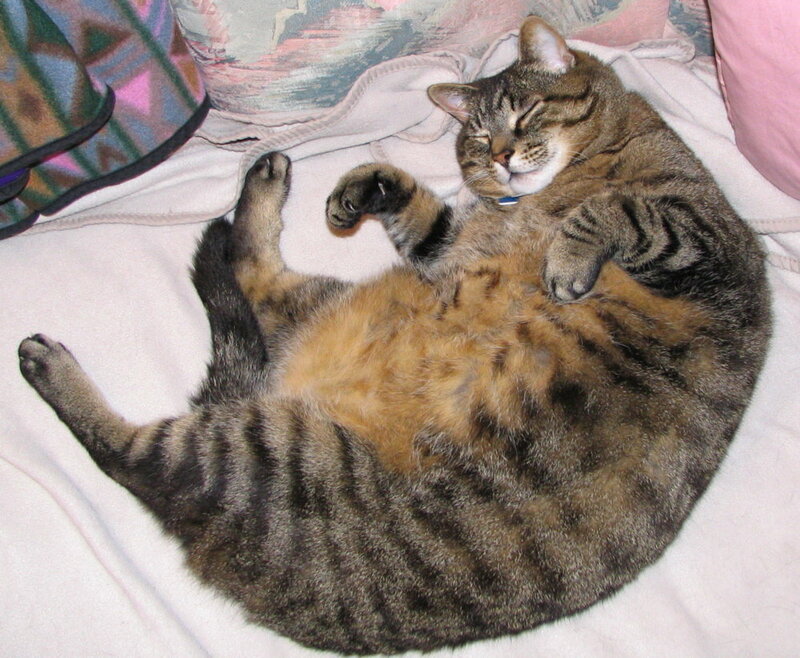 Cats with diabetes often have serious weight issues. For a proper diagnosis, your veterinarian will test your cat’s glucose concentrations in their blood and urine. Your veterinarian might ask about an increase in urination, thirst, and weight loss or weight gain. In order to take care of your cat who has diabetes, you have to: manage your cat’s diet (especially if they are under or over weight), keep an eye on changes in your cat’s behavior since it can be an indication of a change in insulin levels, become familiar and comfortable with getting into a routine of injecting your cat with insulin once or twice you a day, and take your cat to the veterinarian every two to six months for regular check-ups. 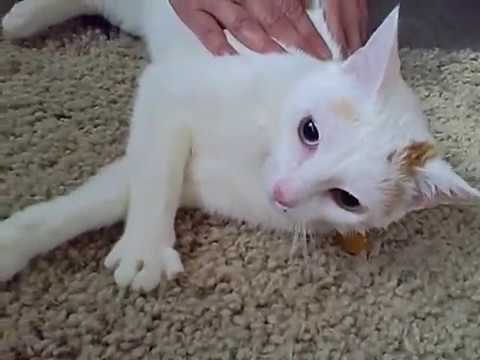 If you cat has a seizure disability, it can be very disturbing to see them stuggle. It is scary when it happens to humans, but when it happens to our animals we can often feel helpless. For cats, seizures are generally the result of previous damage to their brain from some kind of injury. However, some cats are born with forms of epilepsy, as well. To spot a seizure before it happens, keep an eye out for the following pre-symptoms: circling, vomiting, pacing, or loud yowling. During a seizure, the symptoms will include: collapsing, going stiff, and then convulsing with uncontrolled muscle contractions. Their jaws might begin snapping, similar to when human’s jaws chew when they have seizures. Your cat may even lose control of their bladder or bowels while they are convulsing. Sometimes the seizures are very short and your cat might be unconscious while convulsing. Afterwards, your cat will be very disorientated, and will seem blind, vomit, or have temporary paralysis, but after a while your cat will return to “normal”. This kitty is waking up from a seizure and appears to be a bit disoriented. When your cat has a seizure, you want to ensure that your cat won’t hurt himself. After an episode, you need to take your cat to the veterinarian (especially if it’s their first known seizure). During the seizure, you’ll need to follow some very important steps. First, stay calm. You might feel the need to run to them and might make some loud noises, but make sure you are quiet and calm. Talk to your cat in a calm voice. Keep in mind that your cat is most likely unconscious and they will probably start making movements without their control. Be careful not to be bitten or scratched even if your cat normally has no inclination towards that behavior. Move furniture away from your cat as they are convulsing, and keep all other pets away from your cat. DO NOT MOVE YOUR CAT. Moving them while they’re having a seizure could lead to them getting injured. After the seizure, your cat is going to be confused, they might not recognize you, and you could be attacked if they are in a state of shock. Give them space while letting them hear your calm voice. If the seizure doesn’t stop after a few minutes, take your cat to a veterinarian in whatever way possible. To get a diagnosis from your veterinarian, your cat will have to have a seizure while at the office. Your cat will probably be given an injection of diazepam, but if the seizures are severe, your cat may need to be put under anesthesia. If one seizure is less than five minutes, it will probably be diagnosed as epilepsy and is usually not treated beyond stopping the initial seizure. Cluster seizures are treated with anticonvulsants for the rest of your cat’s life. Having her head protected from the hard floor is a great way to keep this kitty safe while she’s having a seizure. Remember that cats with disorders deserve to be loved as much as any other cat. They may take a little bit of extra time and money, but providing them with a happy, healthy life is worth it in the end. Consider adopting a cat with a disorder if you have the time and resources, and you’ll be glad you did. 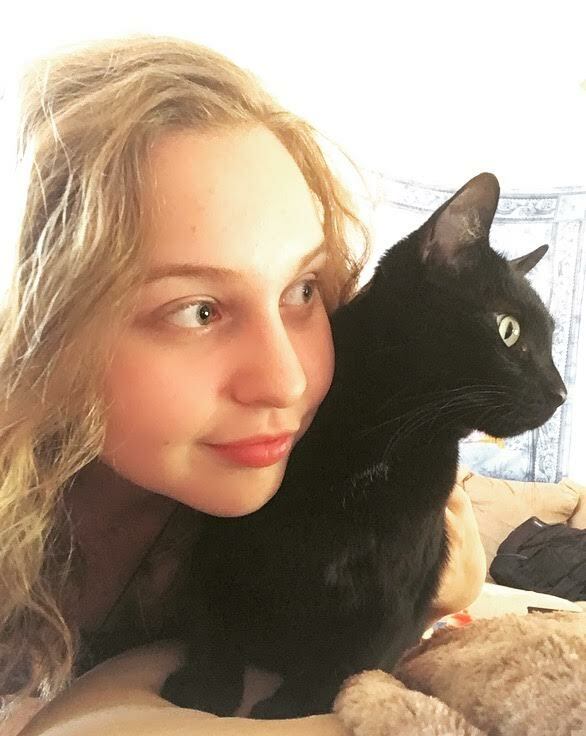 Elanda-Isabella Atencio, our Feline Editor, is on her road to being a “crazy” cat lady. She has three cats; a moody Missus, a wild Baby Kitty, and notorious Fredrick Douglass. She was raised with cats, chickens, dogs, and geese. From cleaning coops, morning dog runs, picking eggs, to growing catnip, Elanda enjoys pampering her pets. Elanda is a student at New Mexico State University, earning her BA in Creative Writing and is Editor-in-Chief of the online arts journal, Independent Noise and reader for Puerto del Sol. She plans to move to Oregon, where she hopes to take her cats on daily walks when it’s overcast and cool. If you’d like to contact Elanda, email her at eincatencio@gmail.com. Jessica Smith on Who Is Broken Promises SW? olga Rodriguez on Who Is Broken Promises SW?